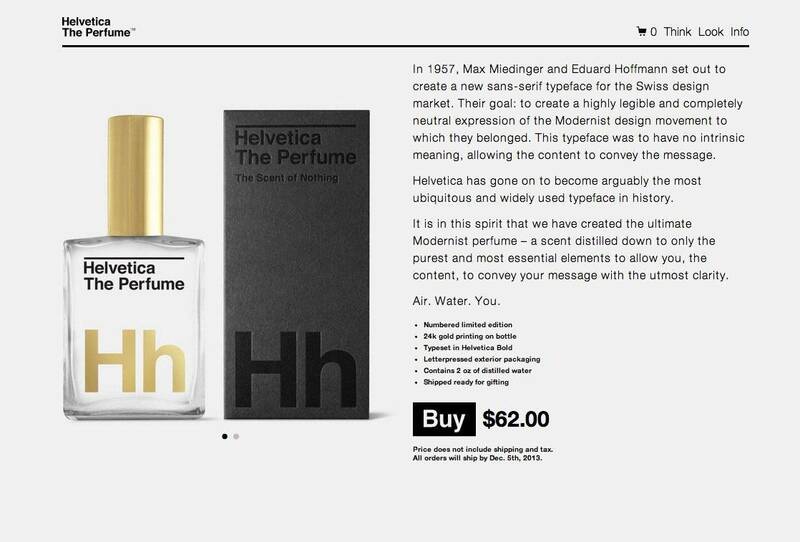 We’ve had a whole variety of Helvetica themed goodies in the past: the Helvetica Bike, the gorgeous Helvetica Moleskines, some Helvetica Beer, the Helvetica Wine Bottle, and a load of other Helvetica items. Good packaging sells, and it can sell anything if you do it right, and I’m pretty sure the folks responsible (GutsandGloryand.us) for this have got this pretty damn right. Great website, good design, nice colours, and great great packaging. Did I mention great packaging? heck, it even has 24k gold printing as well as some letter-pressing happening. I mean f**k, I’d even be tempted to buy a bottle just to put on my desk and stare at, even maybe fondle and caress. 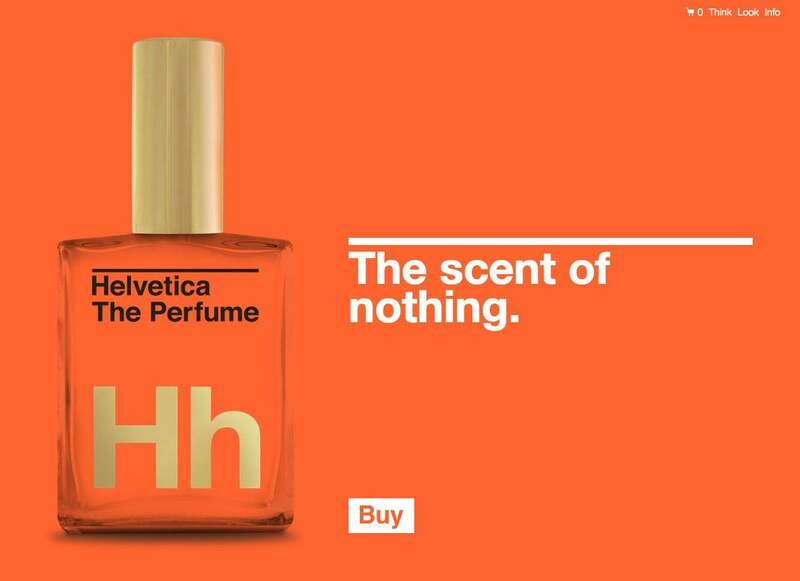 You can follow the dedicated Twitter account right here: @HelveticaParfume and head over to the shopping page (it is legit) if you are dead eager to get your own bottle. Hat-tip to Julie Bakopoulou for the heads-up. From the website: In 1957, Max Miedinger and Eduard Hoffmann set out to create a new sans-serif typeface for the Swiss design market. 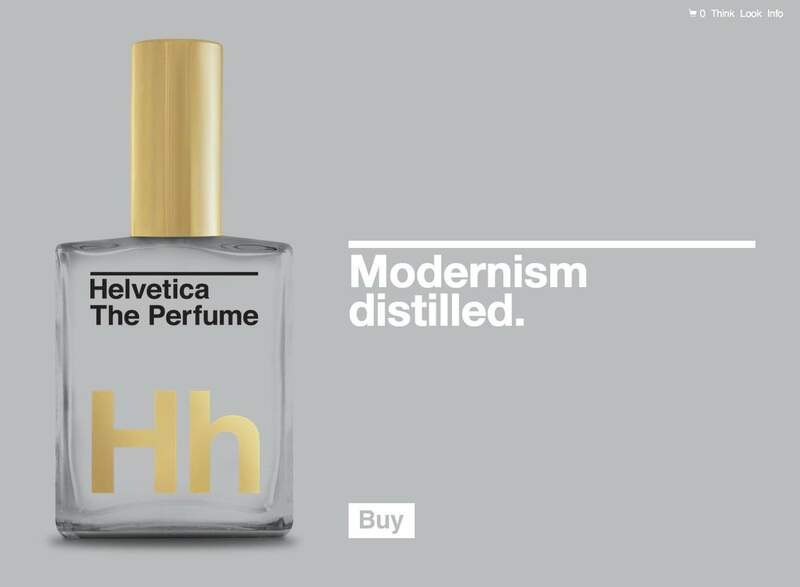 Their goal: to create a highly legible and completely neutral expression of the Modernist design movement to which they belonged. 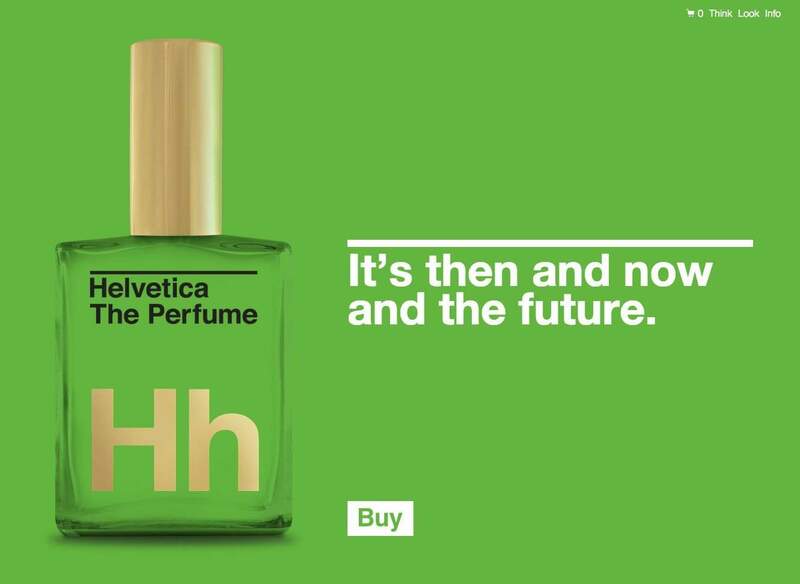 This typeface was to have no intrinsic meaning, allowing the content to convey the message.